The Battle of the Bulge started on December 16, 1944. The Germans launched their last major offensive from their homeland into Belgium. The goal of the offensive was ambitious, the port of Antwerpen, 200 km to the west of St. Vith. After the intial surprise was over, the American resistance stiffened and the German divisions bogged down in the snowy Ardennes. 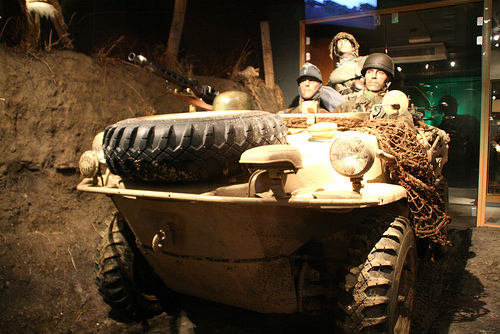 The German troops never reached the other side of the river Meuse and after weeks the Germans were pushed back. But the costs were very high, on both sides ten thousends were killed or wounded. Also thousends of Belgian civilians didn’t escape unharmed, many homes were destroyed. 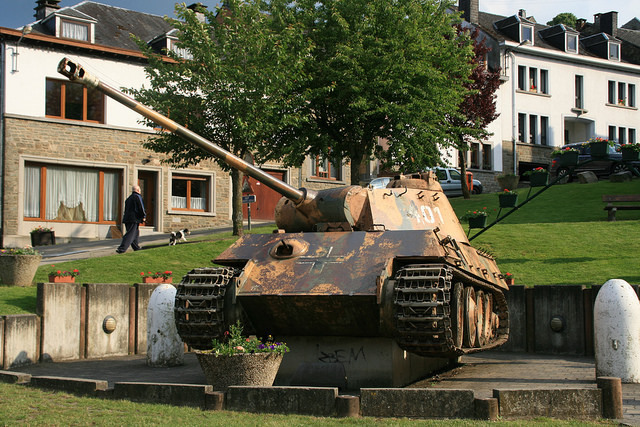 The Belgian Ardennes still remembers the Battle of the Bulge. Many cemeteries can be found in this region. Knocked out tanks have become village monuments and in the last decades many war museums have popped up. 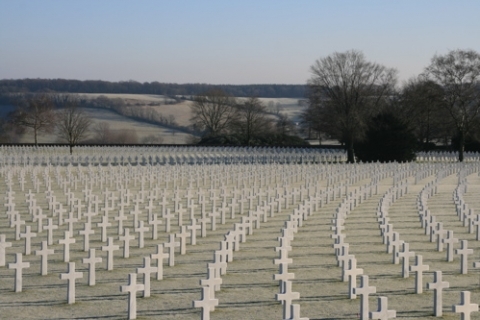 The American liberators are still being remembered. The massive loss of lives has not been forgotten.